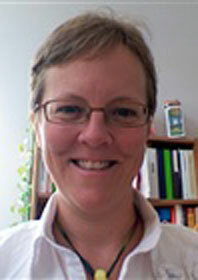 Leslie Trundy is a school counselor at Morse High School in Bath, Maine, where she began working in 2005. Leslie holds a BS in Social Science from Michigan State University and an MS in School Counseling from the University of Southern Maine. She is a member of ASCA and MESCA. The summer I turned 25, I was through-hiking the Appalachian Trail. Hiking 2,159 miles gave me a lot of time to think and reflect on my life to date. I was considering graduate school. Looking back on my careers up until that point, it was my time working as a resident assistant at Michigan State, as well as my unpaid work as a health advocate at the school, that I most enjoyed. In those roles, I liked the ability to help others and be a resource for them as they began a new journey. RAs at MSU were asked to be both proactive in our work to create a floor culture as well as reactive and responsive to the needs of the residents on our floors. As a school counselor and college counselor, I knew my work would be similar. I love the opportunity to teach students and families what they need to know and when they need to know it. And most especially, I love the ability to connect the right student with the right opportunity, whether it be a free leadership workshop, an early college course, an internship, or the right college fit. Financing college will continue to be a challenge for families and colleges as the cost of attaining a degree rises. We have an aggressive public relations campaign within our school and community to educate families about the steps they need to take to maximize the support available to them to help finance a college education. These supports include encouraging all students to file the FAFSA as soon after October 1 as possible; utilizing a rigorous course schedule, including four years of the core curriculum, AP courses, and early college courses while in high school; considering a two-year college to start with; applying for all local and national scholarships for which a student qualifies; and starting a college fund early on. What are some of your best words of advice for the students you work with? Take the most rigorous college preparatory curriculum you can take while in high school. Consider taking AP and early college courses while in high school. Pursue extracurricular clubs, sports, community service, and jobs that interest you and are in line with your future career goals. Take a personality test to begin exploring which career may best suit you. Talk to the adults in your life about their career path and begin visiting colleges as early as possible (kindergarten and up) in a natural way by attending sporting events, museums, and talks that interest you. Keep track of the good things you are doing in a folder so you will have the names, dates, and contact information handy when you need it. Take the PSAT in grades 10 and 11 and the pre-ACT in grade 10. Take the ACT and SAT in the spring of your junior year. Use your results to make a targeted approach to improve your scores. High test scores are not everything, but they may open doors to a school that fits for you--or a scholarship. Be curious. Listen to others. Be kind. Be interested and connected to the community where you live and learn. What is the one piece of advice you would give to counselors who are new to the profession? Attend the workshops offered by ACT, College Board, and NEACAC. Attend the NEACAC summer institute. Remember, you do not need to know everything, but rather, you need to know in general the process and how to help students find answers. Each year in the profession, your knowledge base will expand, but by being a good listener and helping students attend to the college admission process, your service is of value. Families come from very different places in terms of their knowledge and expectations. Sometimes families are invested and sometimes they are not certain where their student is at in the process. Recognize that there is no right way to go about applying to colleges and exploring options. Your job is to encourage participation in the process so the student has choices down the road. A misconception families have had relates to the cost of attendance. Some families see the tuition and think that is the total cost, instead of adding in the cost of room and board, fees, books, travel, and spending money. Yes. I see my job in those instances as encouraging them to trust in the process of applying, to listen to them each individually, and to encourage them to listen to each other and/or find a neutral way to communicate/compromise. Parents sometimes see no point in their child applying to a school that is so far away due to the cost of attendance and travel. Investing the money and time it takes to visit the school may help the family make an informed decision and, in the end, it is time spent together. Facebook has been cited as helpful in supporting student adjustment to college life once they have picked a school. I have seen my own students use YouTube to apply to college, but I have seen other students use it and I have used it as an educational tool when educating students and families about applying to college, FAFSA completion, etc. I advise students to Google themselves and recognize that what is public is fair game. If you do not want a future employer or college to see what you have posted online--or what someone else has posted about you--make it private or don't post it at all. Encourage students to take the PSAT/PLAN and use the results to help prepare. Encourage students to think about test prep programs. Our high school offers a free course to juniors leading up to the May test. Khan Academy partners with the College Board to personalize study place for students using their SAT score, and the ACT offers students test prep through opened.com. College counselors should also encourage students to take both tests and compare and consider taking the one they did best on a second time, with a focused study strategy in between. What is some of your advice for students seeking financial aid? Use Meritaid.com to find college options that may offer you merit aid. Volunteer while in high school on a steady basis and keep track of your hours. File the FAFSA/CSS Profile if needed as soon as you can after October 1. Follow up and make sure your colleges have everything they need to award you a financial aid package. Search for scholarships. Keep organized, watch deadlines, and consider applying for one scholarship every week. A great site for this is cappex.com [and CollegeXpress!]. Honesty, voice, brevity, a visceral hook. Help me feel like I am there, wherever there is. I have encouraged students to allow their laptop to read the essay back to them using the reader system preference. I have also encouraged them to use Wordle to see their essay—looking at the big words and asking themselves if the words represented in the document are their main points. What do the big words say about them? How does seeing the essay broken up as word cloud help them to hear and see what they are saying about themselves in the essay? Research. Visit. Talk to friends, family, and alumni. When on a campus tour, ask the students on campus, not just the tour guide, about the school. Trust your gut feelings about things. Make sure the list of colleges you are applying to includes a school that accepts, say, 14% of applicants if you really love it, but also one that accepts 78% of applicants. Look at your academic profiles and make an educated guess about the chances of being accepted. Include an in-state school where you could see yourself being happy. Be genuinely interested in learning and your community. Whatever your thing is, do your best at it and consider going a little deeper into it. Definitely visit the college and, if you can, attend a class. Remember that no matter what a stand-out individual and applicant you are, the admission officials at the elite schools (which have thousands of applicants) are using their own thoughtful process to build the best/most representative class they can. If you are not selected, it does not mean you are not awesome. It means they offered a spot to some other awesome kid. There are many great colleges out there and you will find one that is just right for you. I have had students who were not college-bound flourish in college because I helped them find their way. That may have meant talking to the grandparents and explaining financial aid; asking them to meet with an admission representative at our school; helping them complete their application; answering their fragile question about what they're supposed to write under activities when they haven't joined any clubs or sports, and worrying that "maybe this college application is only asking for those kinds of kids"; helping them file the FAFSA; helping them find a scholarship and apply; encouraging them to think beyond fire science at the community college and consider pre-med; or getting a beloved teacher to offer to write their recommendation letter. Favorite hero of fiction: Arlene Blum is my favorite hero of non-fiction. Favorite college memory: Rowing crew my freshman year—getting in shape and the camaraderie of the team. Your personal motto: I am beauty, I am strength, I am wisdom, I am health. Also, I carry with me the advice my host father gave me: there are no problems in life, only challenges.